I've read, re-read, and blogged about a large number of poetry volumes over the years, so trying to pinpoint just a few that I would recommend is tough. Nonetheless, to get started, I'd mention the following works, which I've found myself returning to and references on many occasions. Clearly, this list is not exhaustive. • Elizabeth Alexander's Crave Radiance (2010) -- I've followed Alexander's writing and career for quite some time. This collection brings all her volumes of poetry together. • Evie Shockley’s the new black (2008) -- A really inventive book by a thoughtful, engaging poet. This book was inspiring and challenging in useful ways. • Kevin Young’s Dear Darkness (2008) -- He's produced so many solid, enjoyable works. His interest in the blues, humor, the South, southern cuisine, and family emerge here in notable ways. 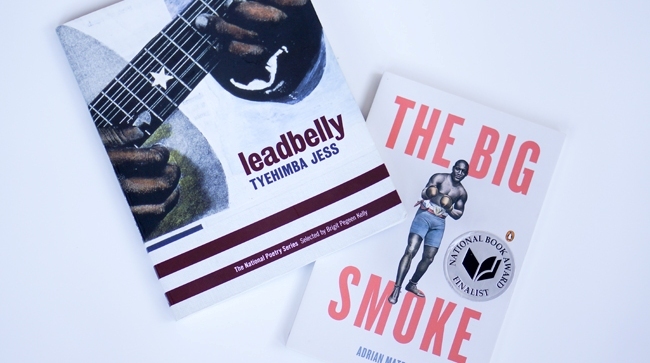 • Tyehimba Jess's Leadbelly (2005) -- What Jess does here is narrate and re-create the journey of the legendary folk musician Huddie Ledbetter. It's hard to think of a single volume that has done more to set me on my way thinking about bad men, persona poems, and the convergence of poetry and music.